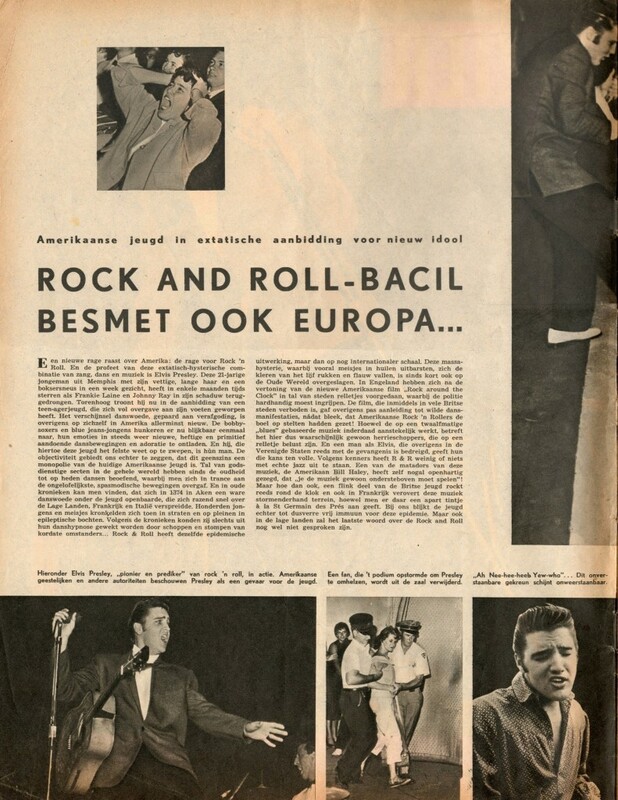 When Rock ‘n’ Roll hit mainland Europe in the summer of ’56, with Elvis Presley as it’s flagship, the powers that be in magazine-land predicted an inglorious and very early exit for this “screaming singer” from America. How wrong they were! 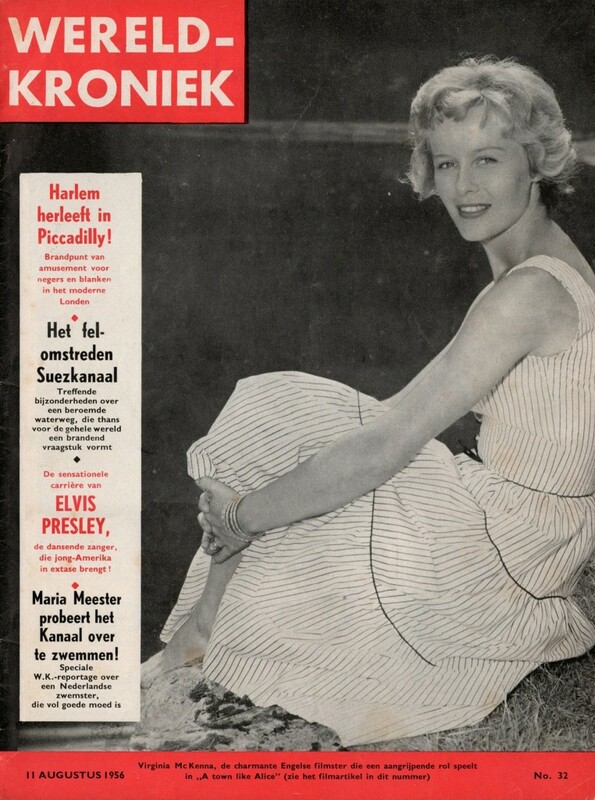 On this page you will find 3 rare magazine articles from Holland (including two Elvis frontcovers) from 1956 and 1959. The first two are from the collection of Jans, while the third magazine is kindly being shared by Judith. 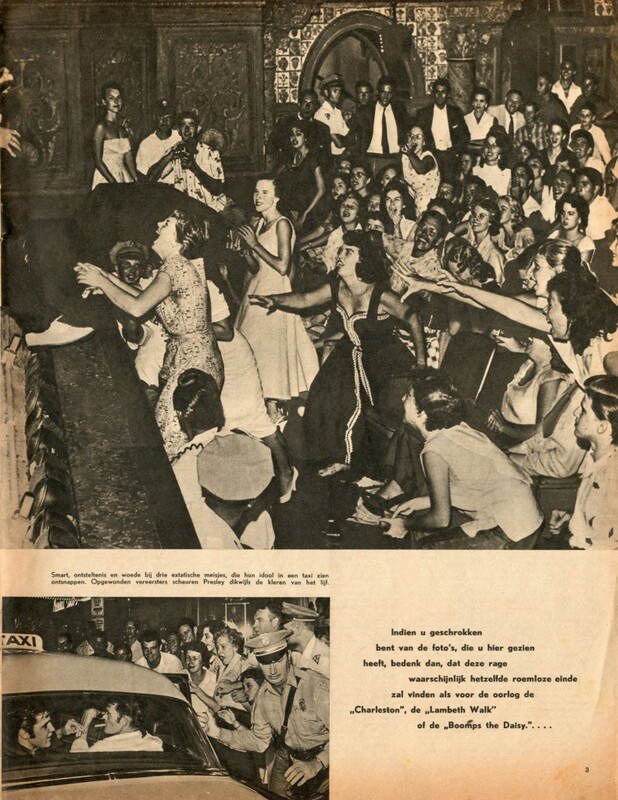 By 1956, VIZIER was in it’s 11th year of publication and aimed at adult audiences. 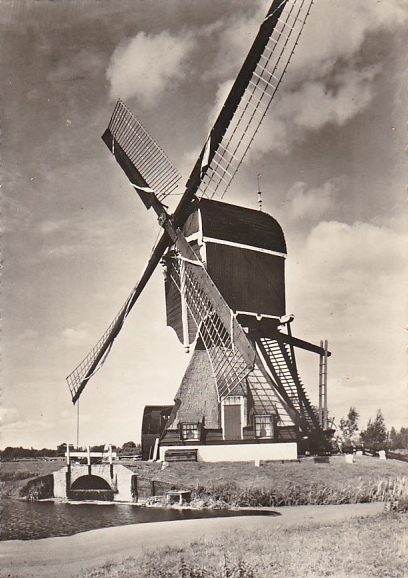 WERELD-KRONIEK was even older and in it’s 59th (!) 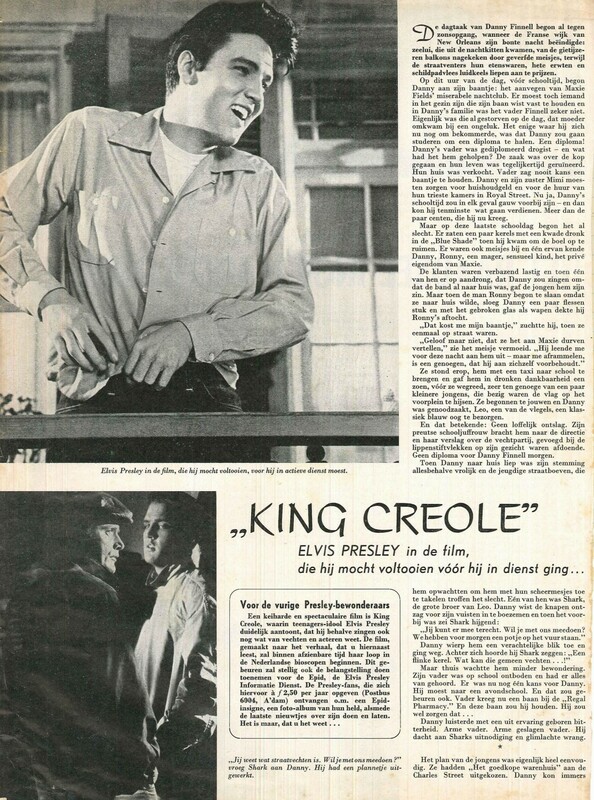 year when they published their first article on Elvis in August of that same year. These Dutch magazines were printed in an unusual large size: 11,5″ by 14″ (27 by 35,5 cm), compared to the US mags of these years. The first two were scanned on a basic scanner (with the pages being scanned in two halfs, and then pasted together again). 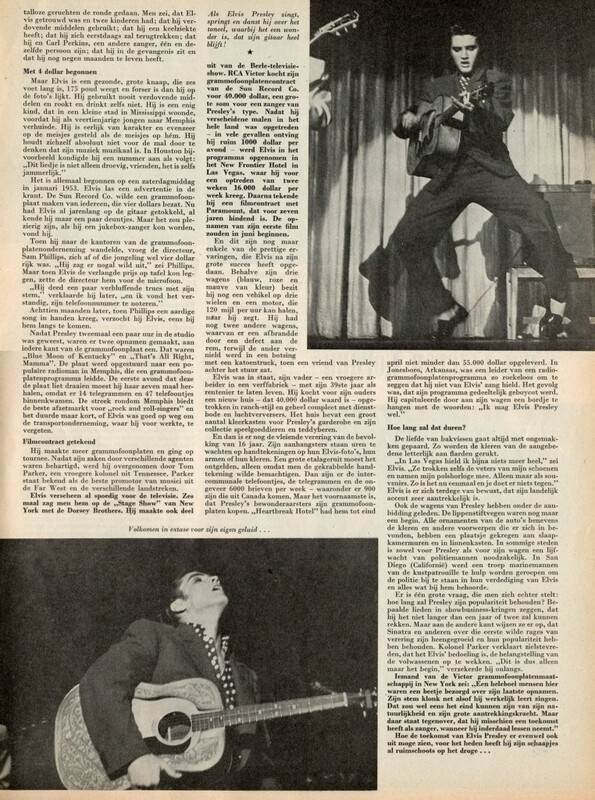 While the third mag was scanned on an extra large scanner (for which the pages did not have to be pasted together again). 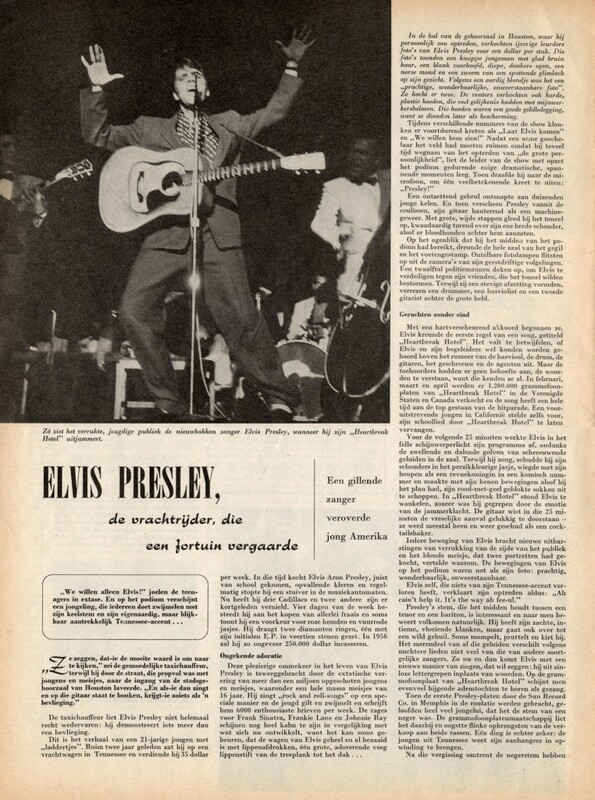 The ‘new’ pages of the first two magazines have exceeded the maximum allowed image-size of this website, making the text a bit tougher to read (for the Dutch visitors that is). 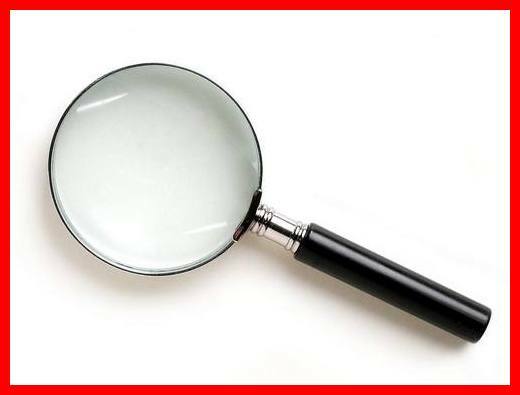 But if anyone would like to be able to read the text without the use of a magnifying glass, just drop me an email and I will gladly forward you the original scans! A big thank you to JANS RABBERS and JUDITH AN VERSCHUUREN for sharing these wonderful vintages magazines! 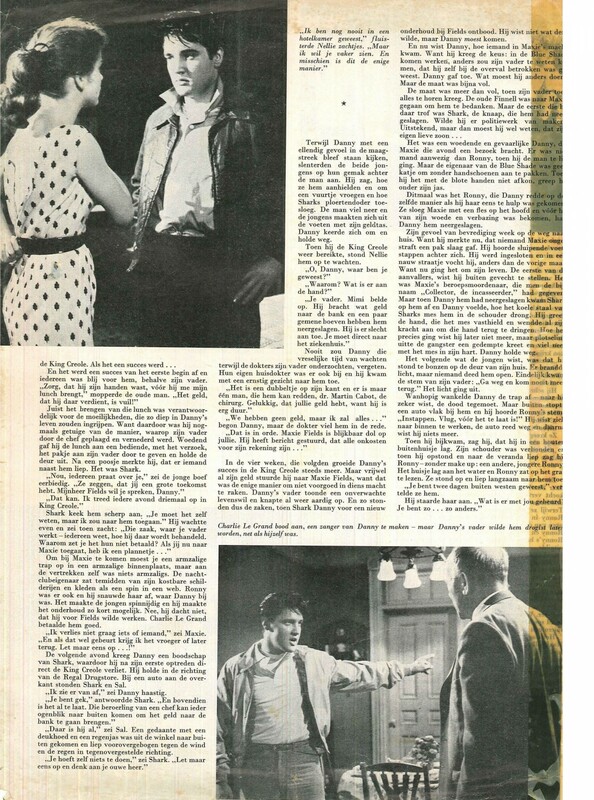 Nice reading these articles from my youth, but I feel now it is a little outdated after more than 50 years. 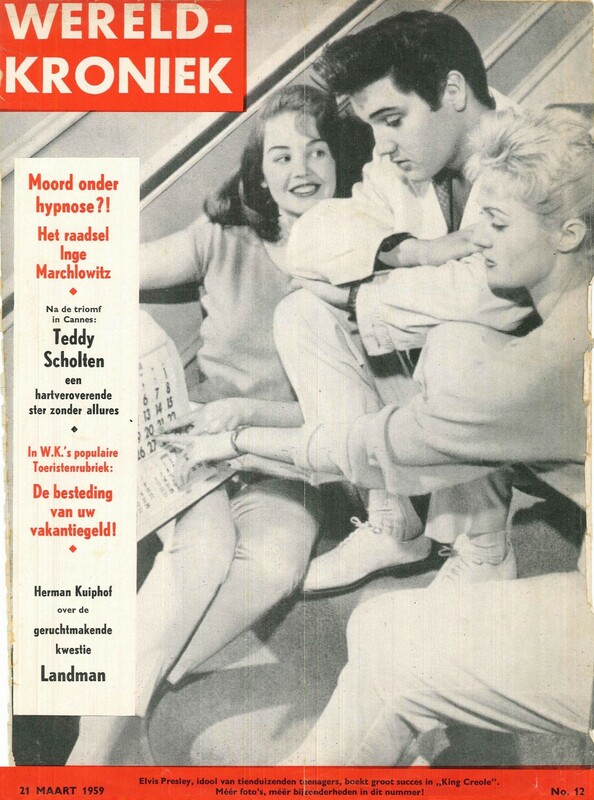 I think this VIZIER magazine is the first Dutch magazine with a picture of Elvis on the cover. 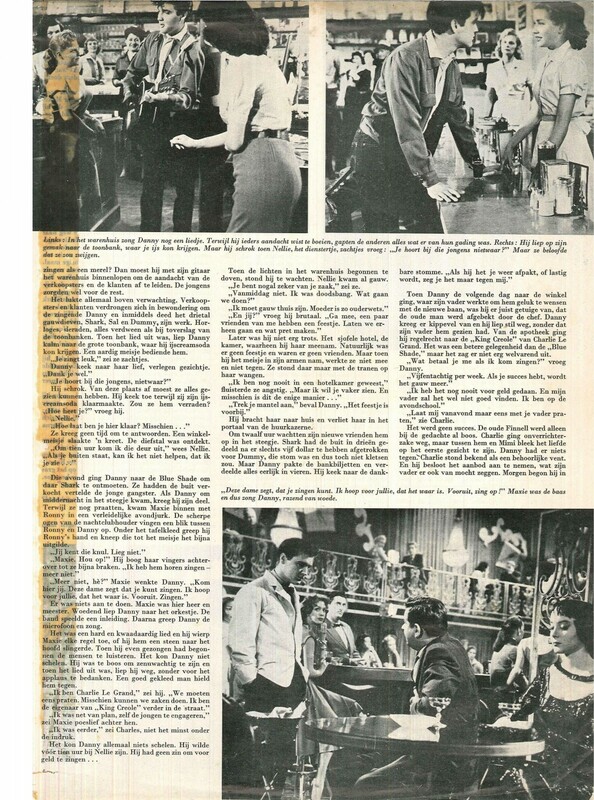 I love to read these kind of vintage magazines. Fantastic for me to read as I have never lived during that time, I was born in 1974, so for me it’s fascinating just because of the typical language use at that time… that you also encounter, of course in other forms like comic books from that era. Love it because its’ old-fashioned. 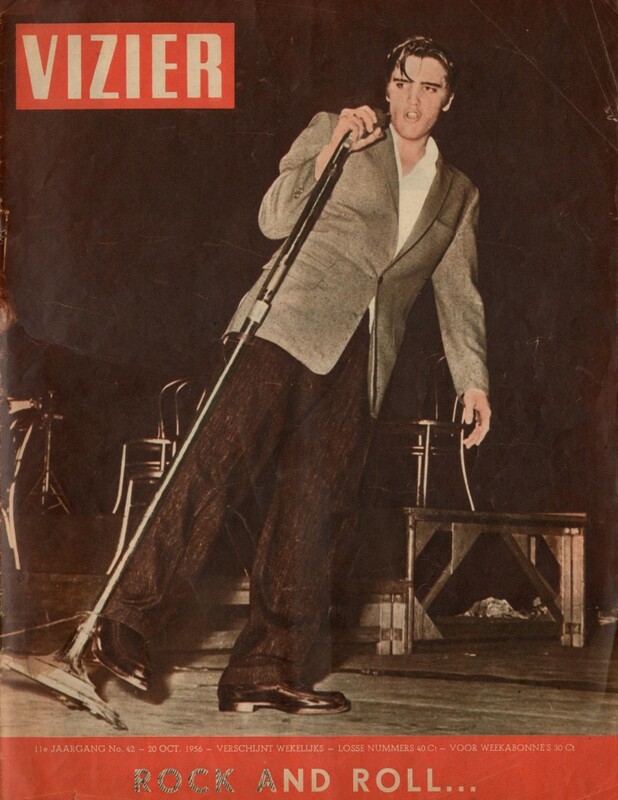 For the awe it inspires reading about the many prejudices and jealousy aimed against Elvis and his brand of music, the stubborn conservatism of those times, which in some way has returned after the 70s (not as rigid in some ways, more extreme even, in other ways). Where can I write to Ger rijff, we are old friends,but I can’t find his mail. I living in Herning Denmark.